At last an end to aching backside caused by 90 minutes sitting on rock-hard pew at St Martin in the Fields misery. St Martin in the Fields (on Trafalgar Square) is a little gem for those with an hour to spare at lunchtime on Mondays, Tuesdays, and Fridays. It has an illustrious history, and for 60 years or so has been running lunchtime concerts, mostly of chamber music, played by young and upcoming artists. I have never heard a bad concert there and some are so perfect they bring a tear to my lizard-like eye (two this week alone fall into that category). However the reverie into which my mind usually falls is often interrupted by a message from my bony *rse, indicating extreme discomfort from the rock-hard wooden seating. Better upholstered people do not have this problem, but it has started to irk me somewhat. It’s not practical to bring pillows, and most filled cushions are too bulky. However I remembered the inflatable cushions I bought for resting my feet on long-haul flights, and dug one out for testing . It’s shown here, inflated and in situ after today’s concert. This turns out to work almost perfectly, being light, easily packed, and providing a massive boost to posterior cushioning. 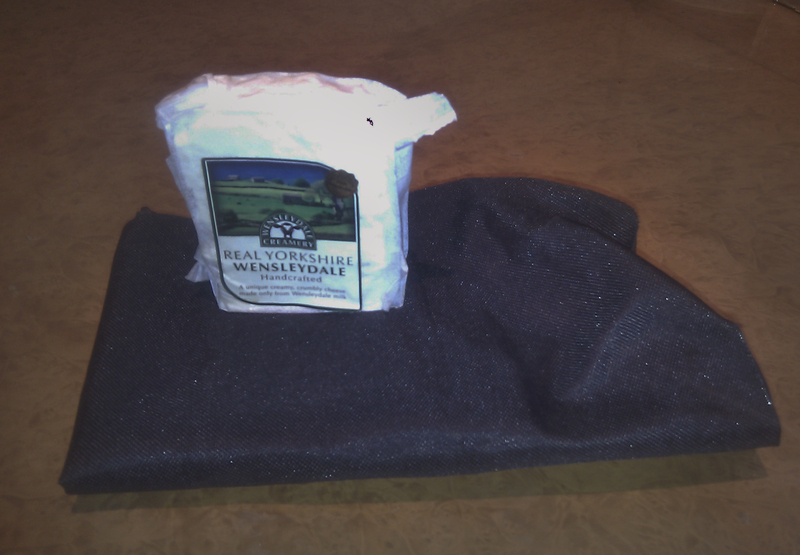 A photo of the deflated cushion is shown below, modelled with a piece of Wensleydale for comparison. There are some disadvantages and risks, but these are minor and can be controlled. The cushion, although small, adds about 2 inches to my seated height and moves me from the ‘inconveniently large’ to the ‘giant’ category for those behind. In addition it provides no lateral stability, so getting on board results in some pronounced rocking until a stable upright posture is achieved, creating further anxiety in the people behind. And finally there is the ever-present risk of sudden deflation, with the accompanying f*rting noise further cementing their low opinion. But as I say it is all manageable. As is the obvious alarm of my neighbors at the start of the concert as they try to understand what I am surreptitiously trying to blow up. Some inflatable balloon poodles perhaps? Or maybe a full-sized companion? 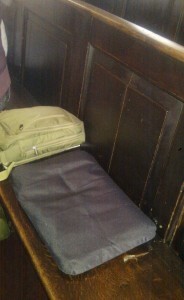 Whatever they think, the extra space made available as they nervously shuffle away along the seat is always welcome.